Since 1991, Selex ES, Inc. has provided thousands of Navaids around the world. In 2001, Alenia Marconi Systems (AMS) as part of the Finmeccanica Corporation (now Leonardo Company), acquired Selex ES, Inc.
Selex ES Inc., is headquartered in Overland Park, Kansas, and is a leader in Air Traffic Management. The company delivers robust solutions for the pressing needs of Global Air Navigation Service Providers, airport authorities, militaries, government agencies, and commercial and industrial operators. 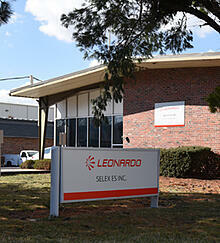 © 2019 | Selex ES Inc., an international subsidiary of Leonardo Company S.p.A., doing business as Leonardo.